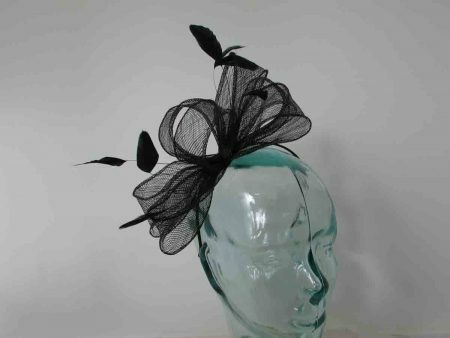 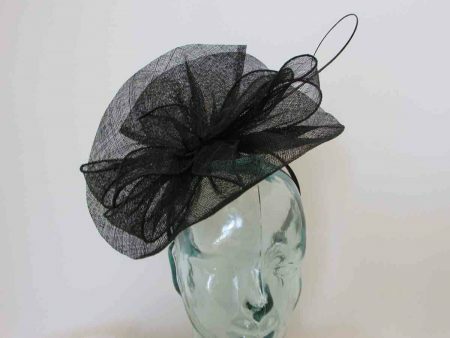 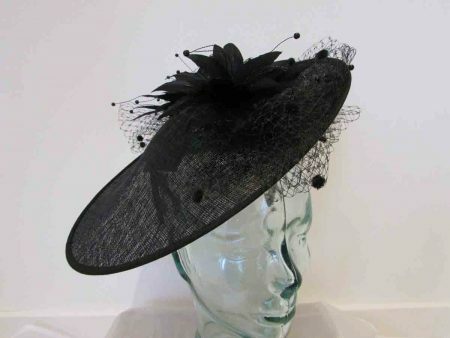 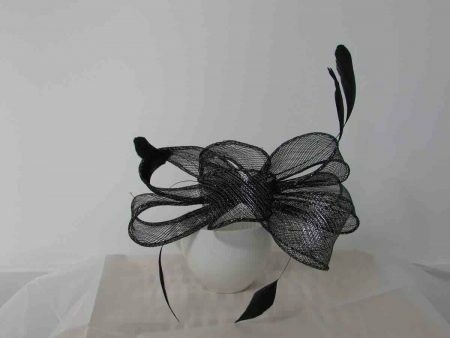 Please browse our range of Black Fascinators and Black Hatinators below in a wide selection of styles, on alice bands, slides and beak clips. 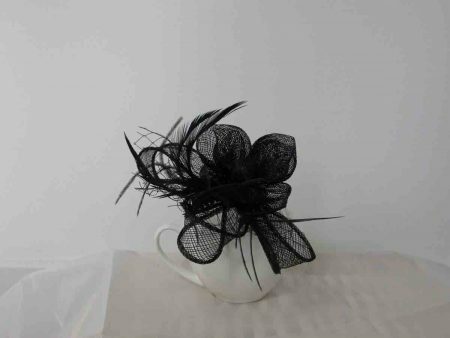 Over 1000 Fascinators and Hatinators in stock for immediate dispatch. 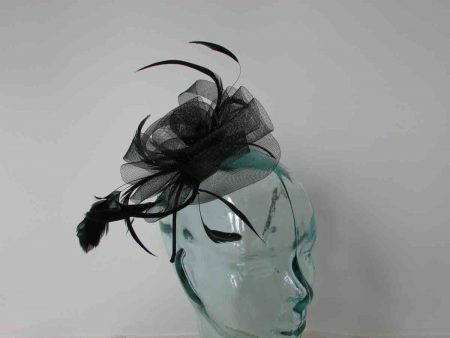 Free delivery on all orders over £40, with expres next day delivery also available. 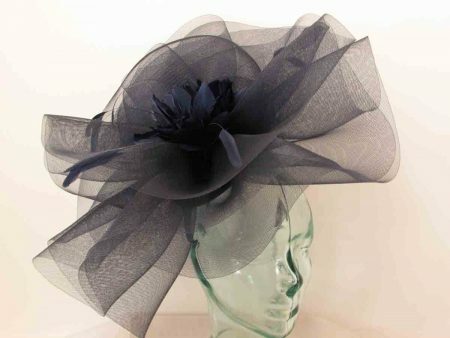 Sinamay disc with underflower and veiling in black, on an aliceband. 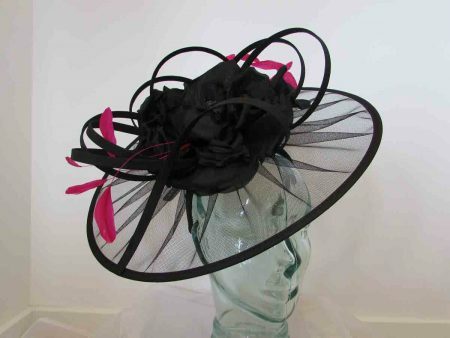 Net black fascinator with wired edge, large dramatic flower and loops with pink feathers on a fitted alice band. 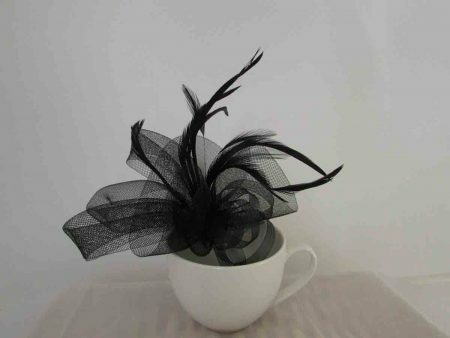 Sinamay fascinator with quill in black. 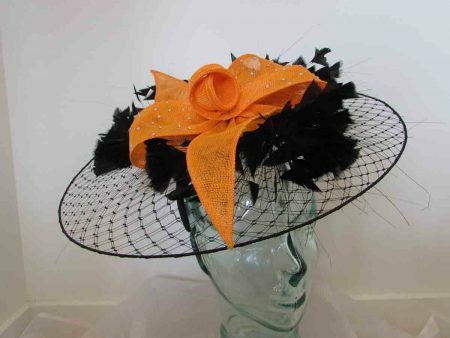 Matching clutch bag also available. 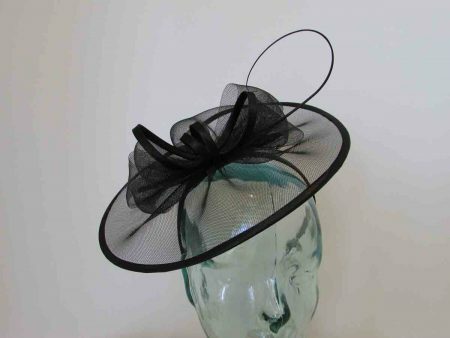 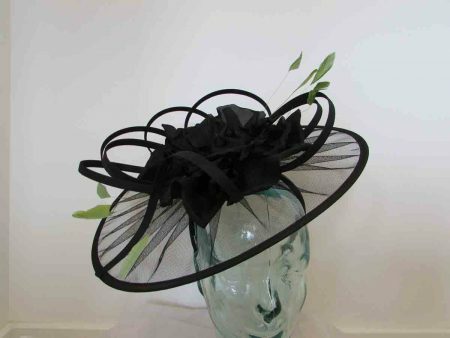 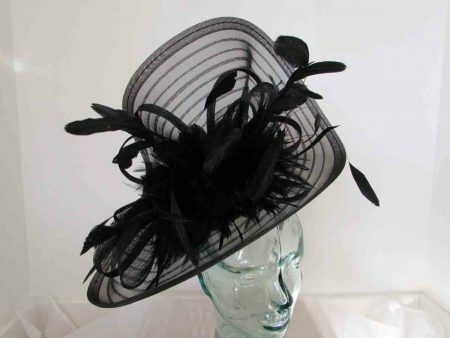 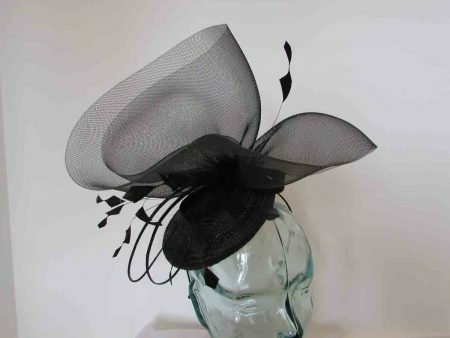 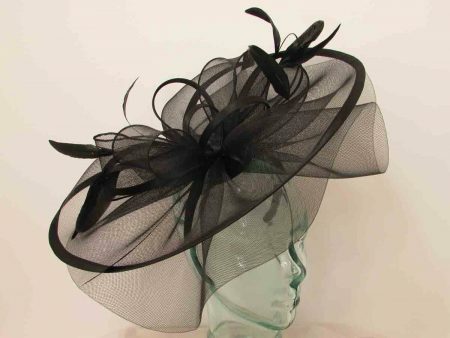 Crin fascinator with satin brim, loops and single quill on an alice band in black. 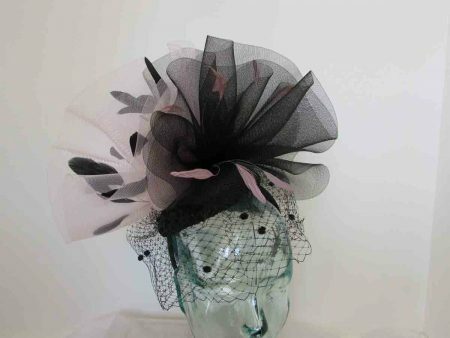 Matching clutch bag also available.